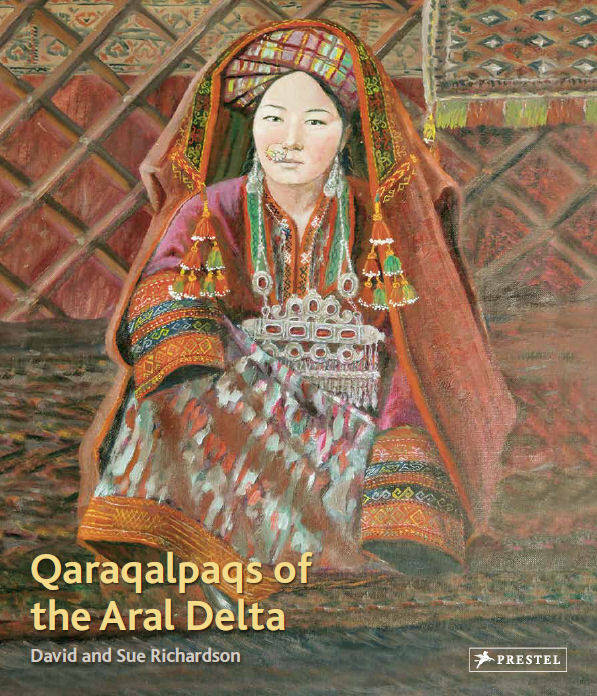 A sumptuous new book about the Qaraqalpaqs, the first comprehensive description of the Qaraqalpaqs and their extraordinary folk art ever published in the English language. Published by Prestel Verlag, Munich. Available in Europe from June 2012 and in North America, Japan, Australia, and the rest of the World from July 2012. Prestel books are available worldwide. Contact the Prestel office in Munich, London, or New York for your nearest distributor. Nick Fielding, Journalist and author covering the Middle East and Central Asia and collector of Kyrgyz textiles, Oxfordshire. "This book will be the standard work on the Qaraqalpaqs and is unlikely to be ever superseded. It is also a model for the way in which this kind of book should be written. Even if you have no interest in the textiles themselves, go out and treat yourself. 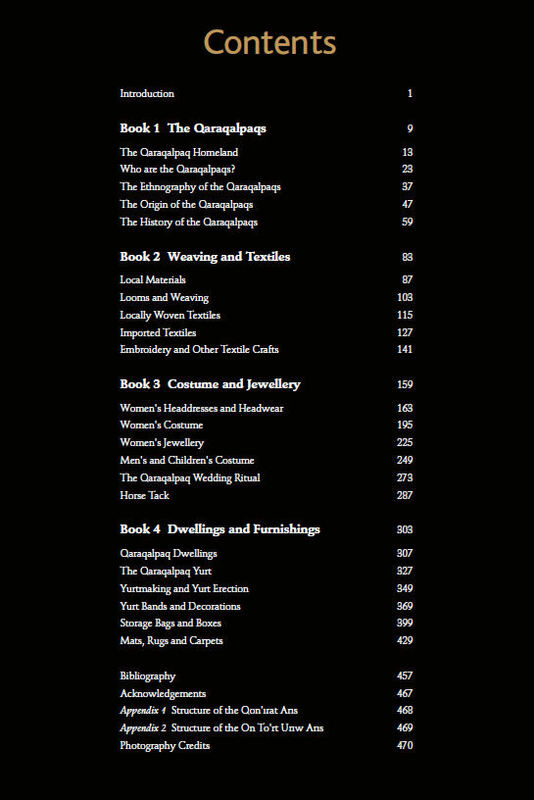 You are unlikely to ever find a better book on textiles." Susan F. Meller, Author of Russian Textiles and collector of Central Asian textiles, New York. "The Richardsons have written a masterful, scholarly work and have conveyed their obvious passion for, and dedication to, their subject. The publisher, Prestel, has produced a very beautiful, high-quality book that will be a treasured addition to the reader's library." Cheri Hunter, Program Director, The Textile Museum Associates of Southern California, Los Angeles. "Your book just arrived! WOWIE! SPECTACULAR! It is just gorgeous, and beautifully mounted. So many pictures, so many examples! And so heavy! Congratulations - what a work." 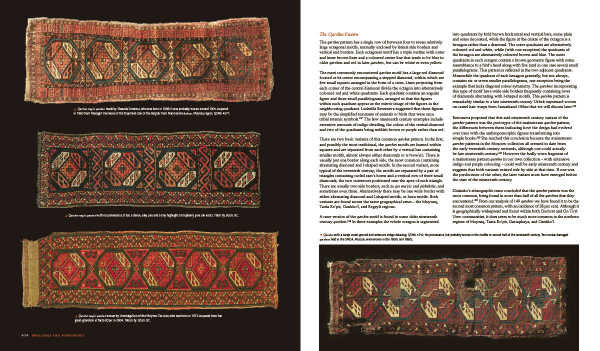 Catherine Mortensen, Antique Carpet and Textile Specialist and Turkophile, Calgary. "I am absolutely thrilled to have this book in my hands. It does not disappoint. 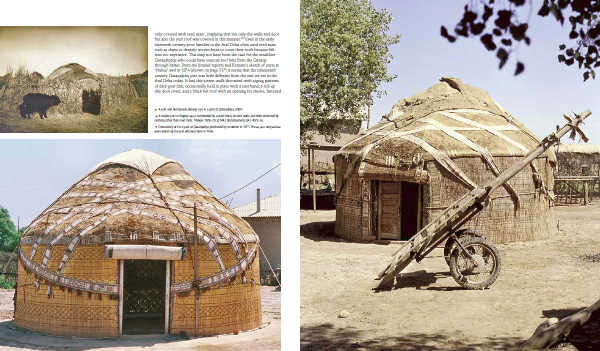 I cannot say enough and would recommend this book highly to anyone interested in this region and the weaving, costumes, jewellery and dwellings and ethnography of this area." Sharon Lundahl, Antique Central Asian Rug and Textile Dealer, Langley, Seattle. 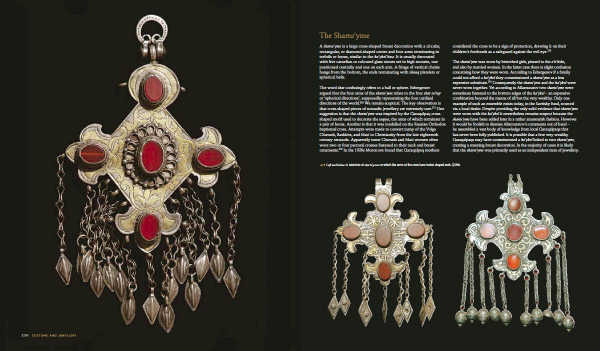 "The Richardsons have done a great service in producing their magnificent encyclopaedic work on the Qaraqalpaqs and their life. The combination of detail on this group's history, old photographs from Soviet archives, and new photographs and interviews by the authors themselves during their field trips makes this book "one stop shopping" for anyone interested in any aspect of the life and history of the Qaraqalpaq nation. 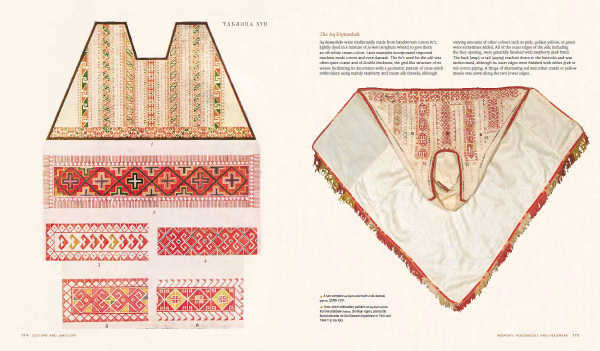 This is the first and only such book in English and it will quickly become THE seminal reference book on this ethnic group for both scholars and textile enthusiasts everywhere." Dr. Michael Buddeberg, Deputy Chairman of the Preetorius Foundation, Treasurer of the ICOC, and member of the Gesellschaft für Asiatische Kunst und Kultur, Starnberg, München. Caroline Stone, Scholar of Islamic Culture and Literature and Textile History, Faculty of Asian and Middle Eastern Studies, University of Cambridge. "...this beautiful, well-researched book ... is particularily welcome. This book is a major contribution to our knowledge of the region." 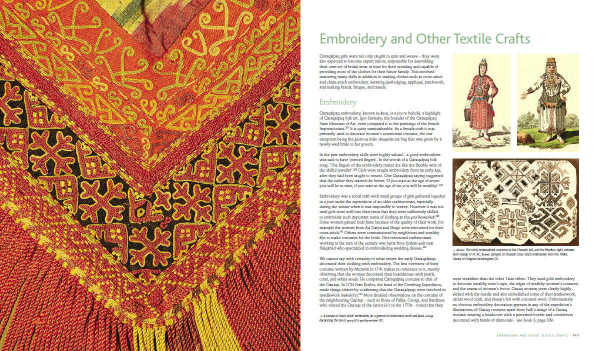 This beautifully illustrated large-format book introduces the textiles and weavings of the Qaraqalpaqs to an English-speaking audience for the very first time. Its scope is ambitious. Organized as four books in one, Book 1 cuts through the myths that have surrounded the Qaraqalpaqs for over two centuries and explains who they are and where they come from. Book 2 covers the Qaraqalpaqs choice of fibres, natural dyes, and looms, and describes the textiles that they wove locally as well as those that they imported. 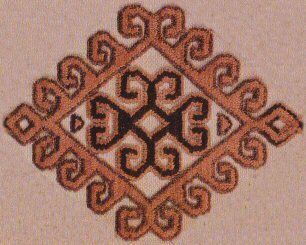 It provides new insights into the local speciality craft of producing polished cotton alasha, and the little-known ikat weaving and silk sash weaving industries of Khiva. 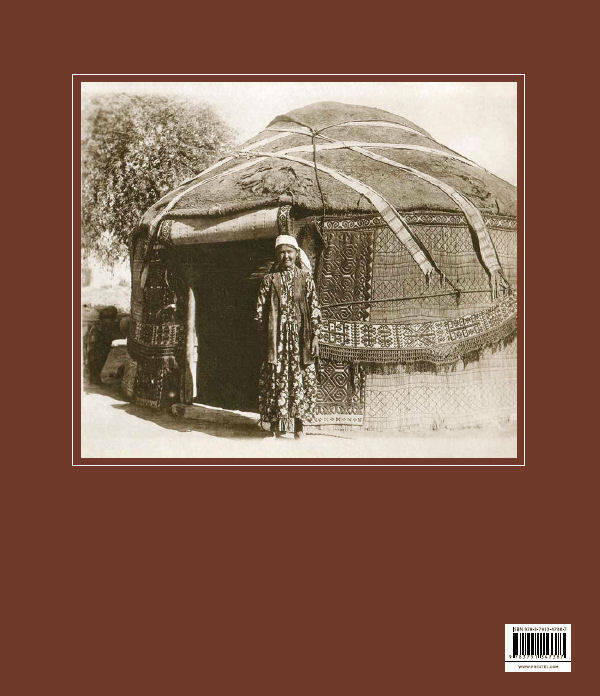 Book 3 comprehensively covers all aspects of Qaraqalpaq headwear, costume, and jewellery, while Book 4 reviews Qaraqalpaq dwellings and their furnishings, describing the Qaraqalpaq yurt and its construction in detail, along with its associated tent bands, storage bags, and decorations. 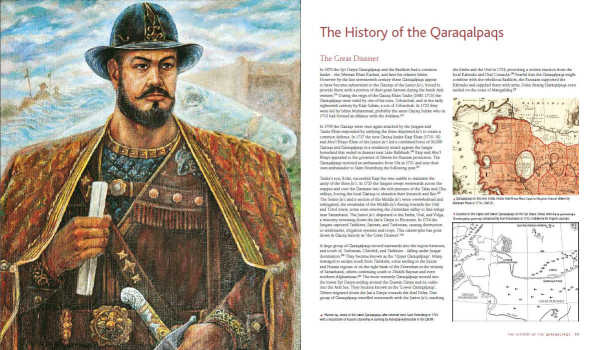 Each Book is generously illustrated with photographs taken by the authors, supplemented by a large number of images extracted from the archives of museums in Qaraqalpaqstan and Russia which have never been previously published. 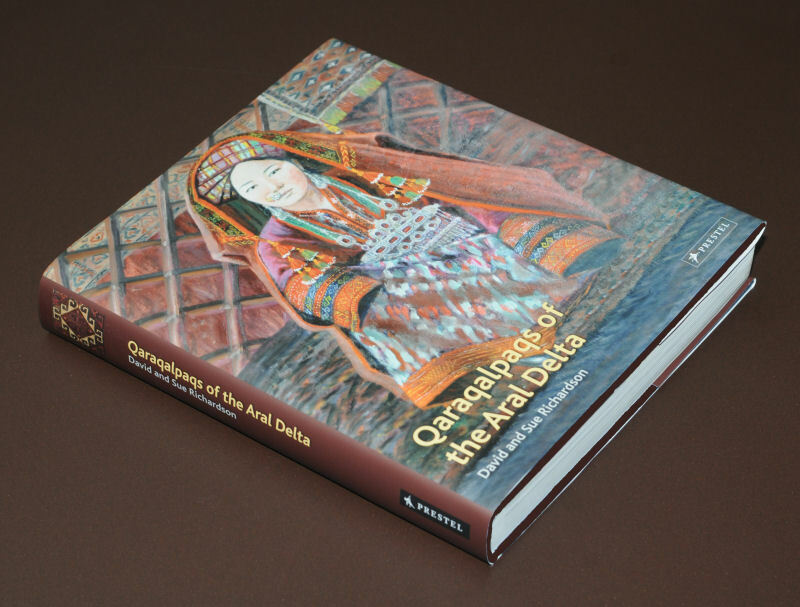 'Qaraqalpaqs of the Aral Delta' is destined to become the defining study of the Qaraqalpaqs for a generation. No serious scholar of Central Asian history, costume, or carpets should be without it. This page was first published in April 2012. It was last updated on 28 May 2013.